Women workers – take up your rifles! | Campaign! 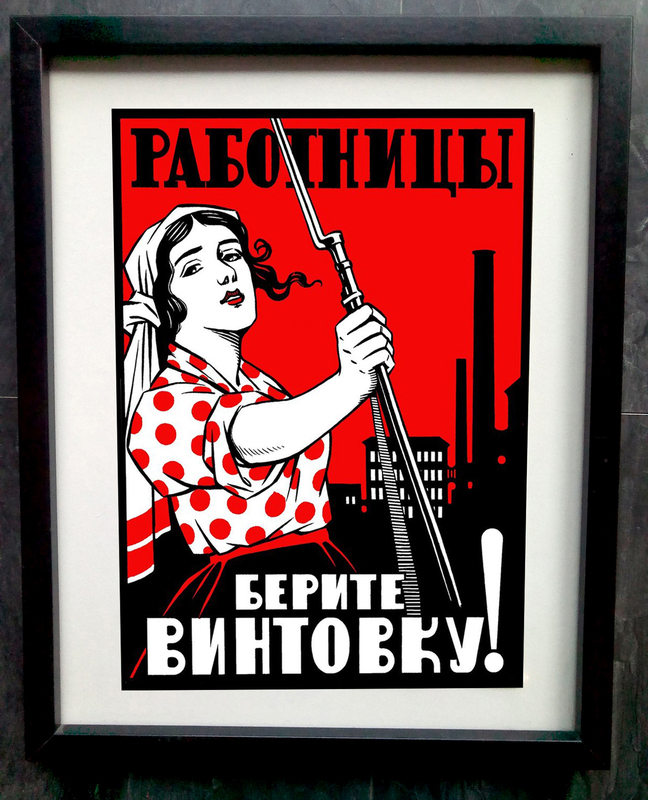 Home / Posters / Women workers – take up your rifles! Women workers – take up your rifles! Rabotnitsy, berite vintovku! 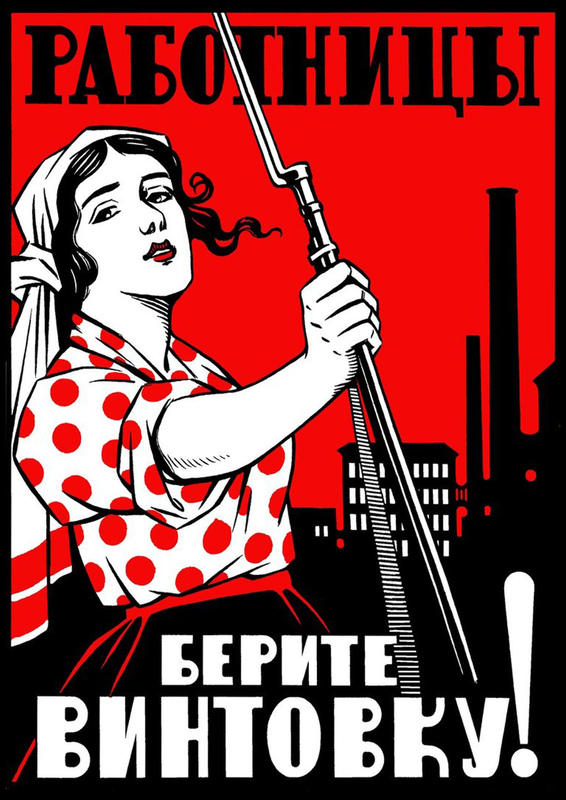 [Women Workers, Take Up Your Rifles! ], a poster attributed to Lev Brodaty, (1889-1954, Meritorious Art Worker of the Russian Federation). 1920. This popular poster was, for some reason, published without a full imprint. It is likely that it was prompted by the June 1920 Vsevobuch proposal to introduce obligatory military training for women workers. The attribution to the Soviet graphic artist, posterist, book illustrator, and printmaker Lev Brodaty is based on Internet sources that give the artist’s name as “L. Brodoty”, and may require further verification.